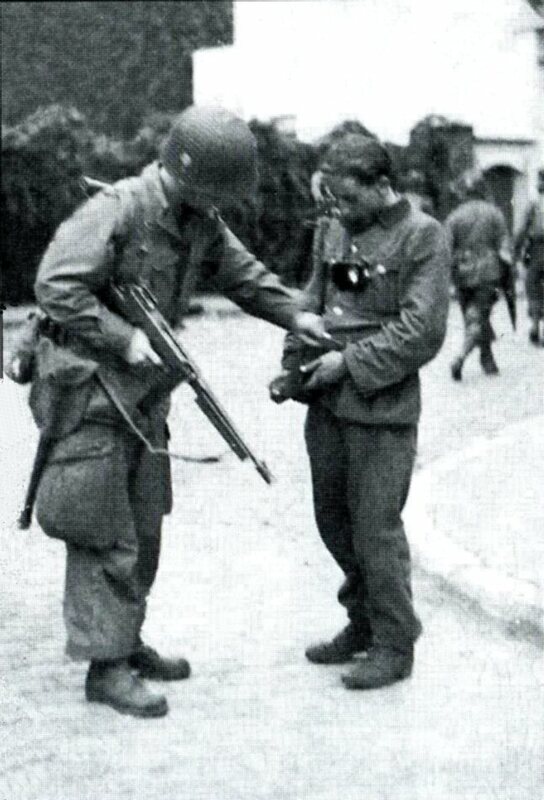 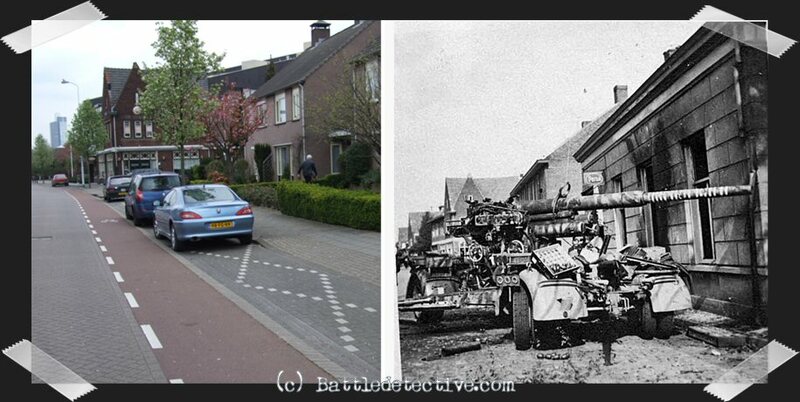 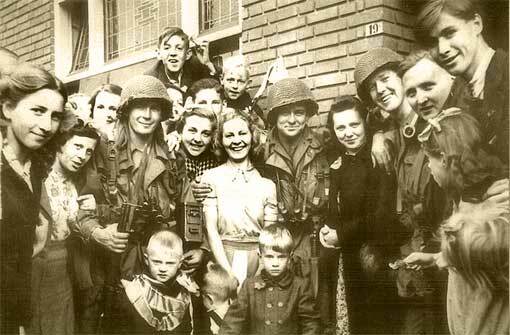 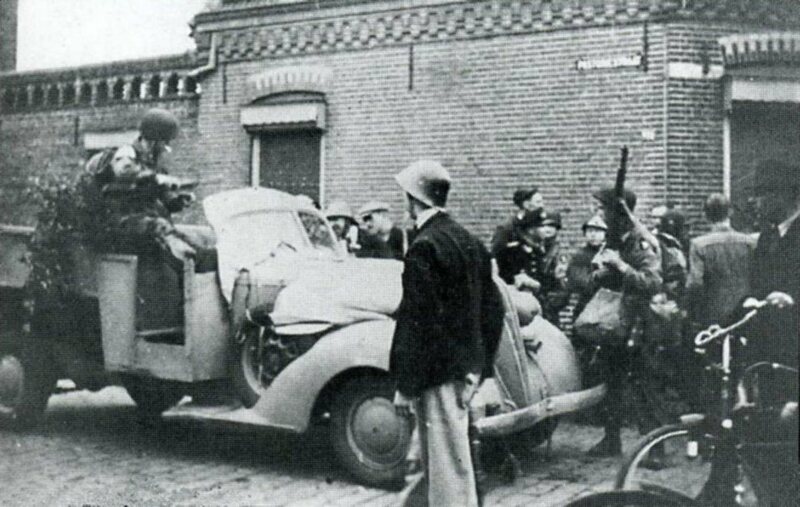 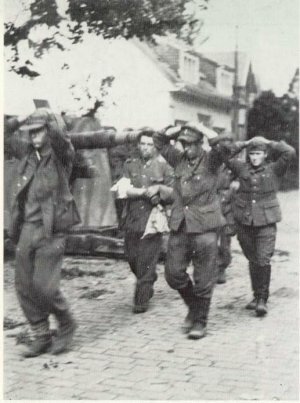 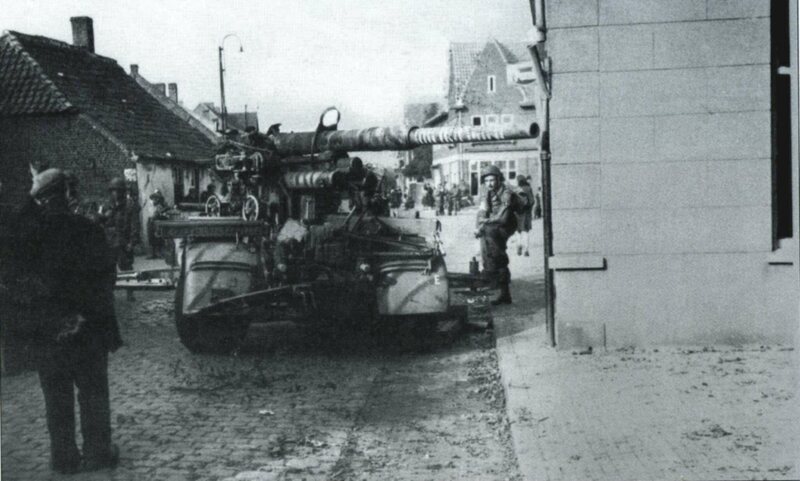 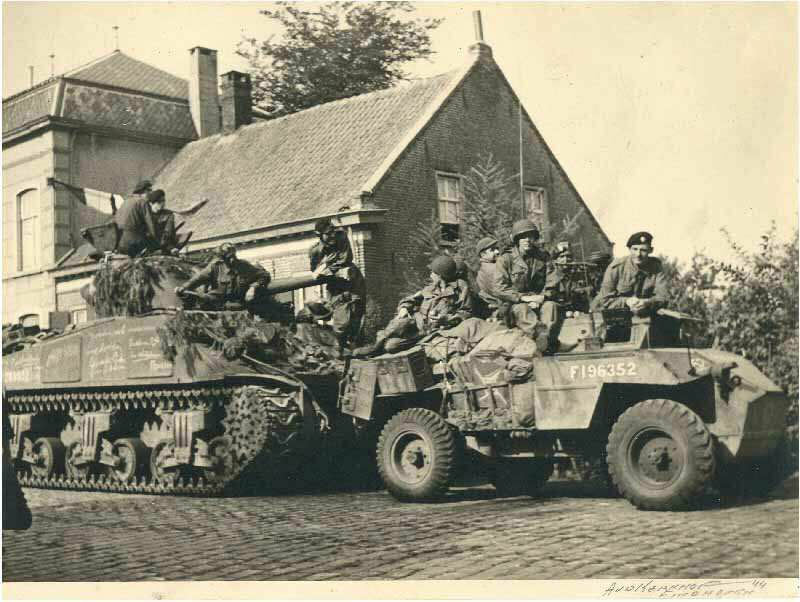 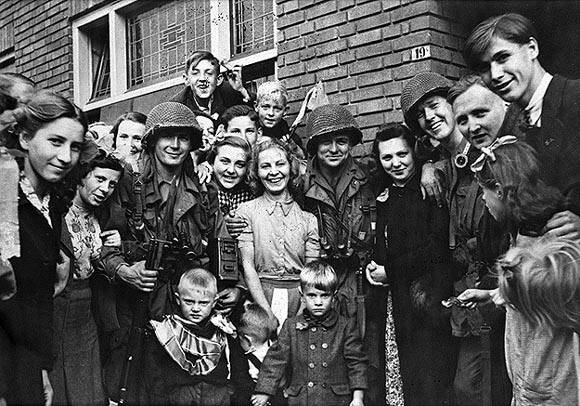 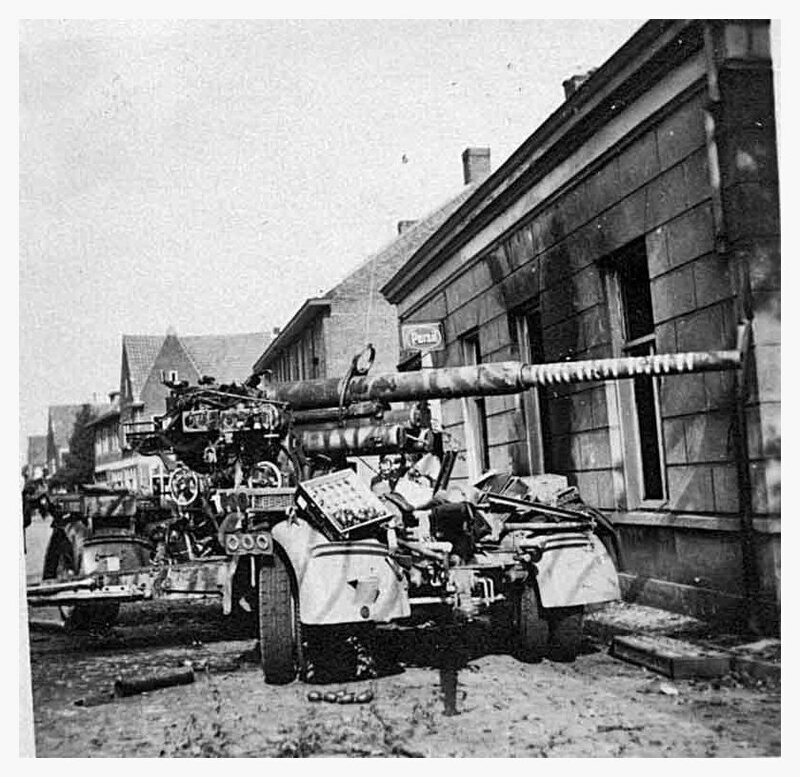 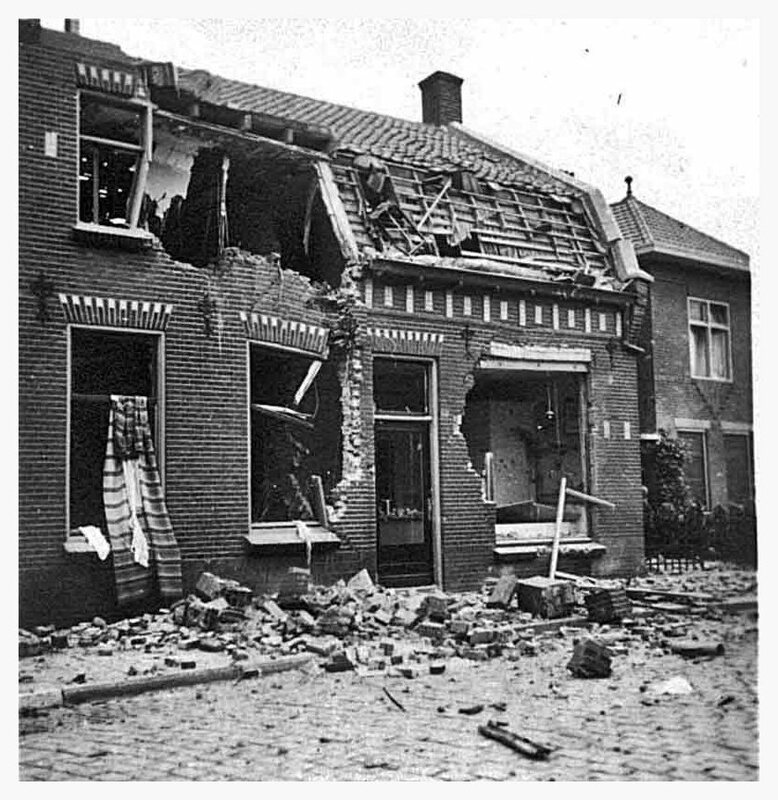 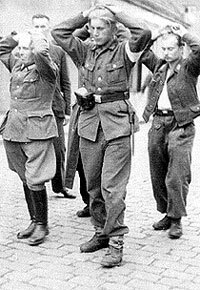 Introduction: The capture of two German 88 millimeter canons on the Eindhoven streets named Klooster Dreef and Woenselsche Straat has been well documented in the history books as well as in the 101st Airborne Division's After Action Reports. 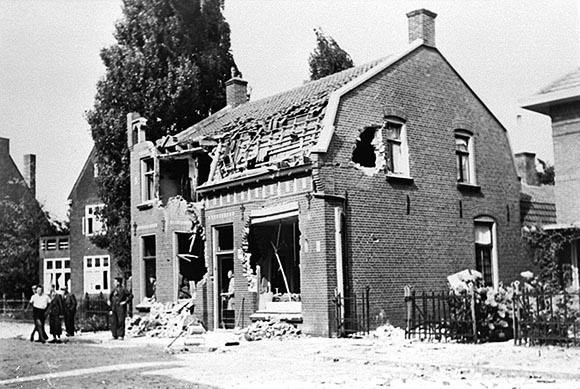 The location of this battle, decisive for the liberation of the Southern Dutch city has changed beyond recognition over the years. 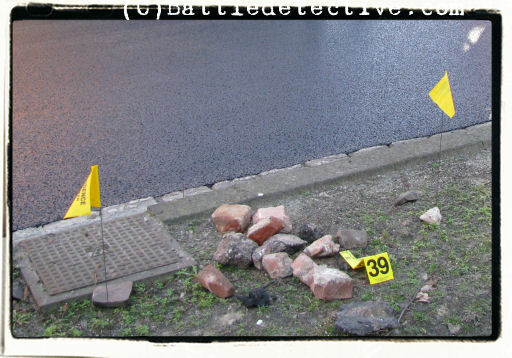 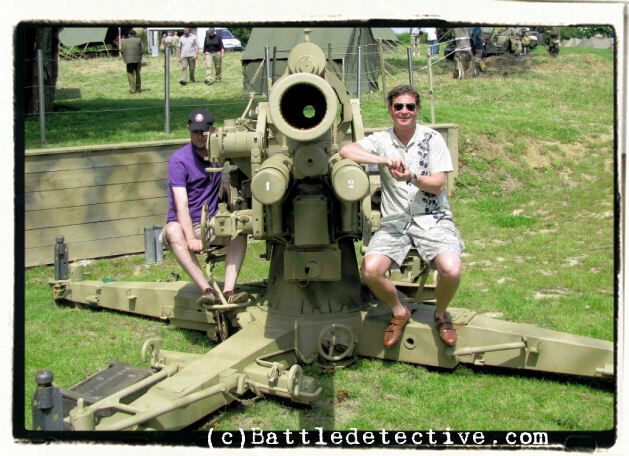 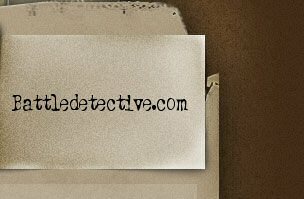 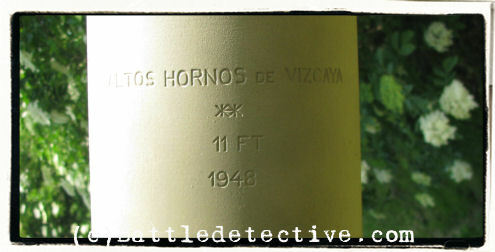 Battle detectives reconstructed the battlefield. 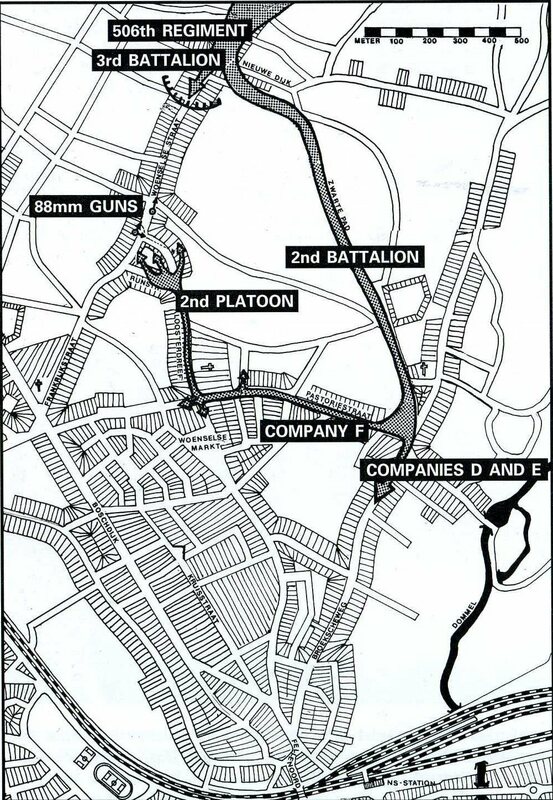 Paratoopers of 2nd Bn have taken an alternative route South and are now circling North towards the two 88mm guns that hold op the main advance. 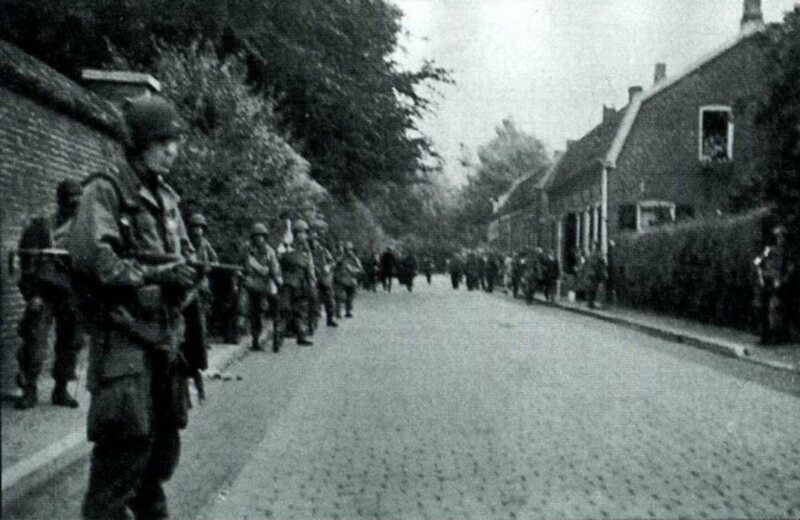 At the corner of Kloosterdreef they pause to regroup. 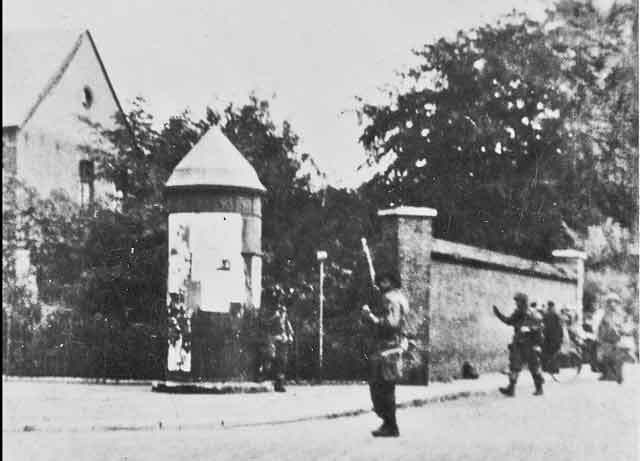 At the same corner they gather some POW's and wait until a substantial force is ready to move North towards the guns. 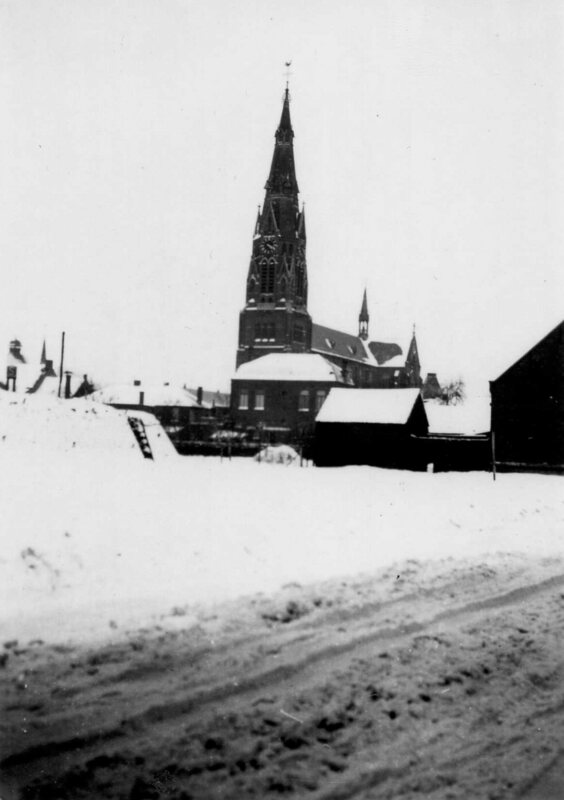 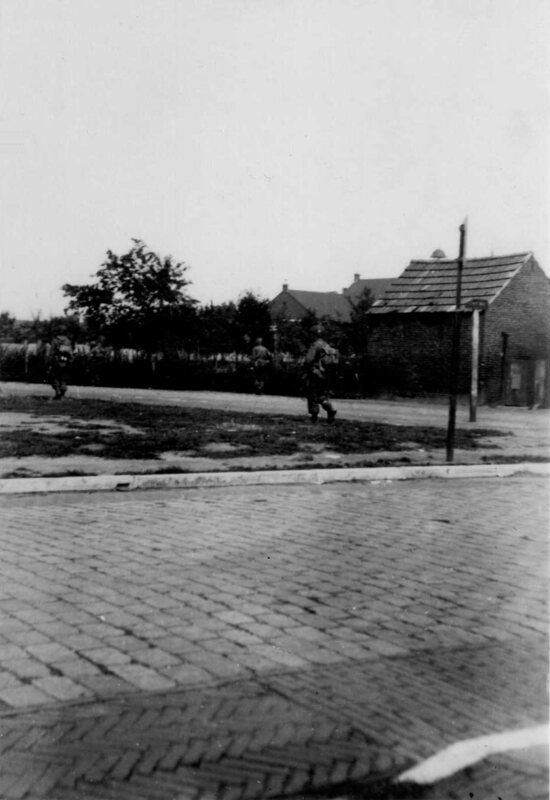 A civilian photographer took this picture of what the German crew of the Southern most 88 mm wouls see a few months later when they looked East on Klooster Dreef. 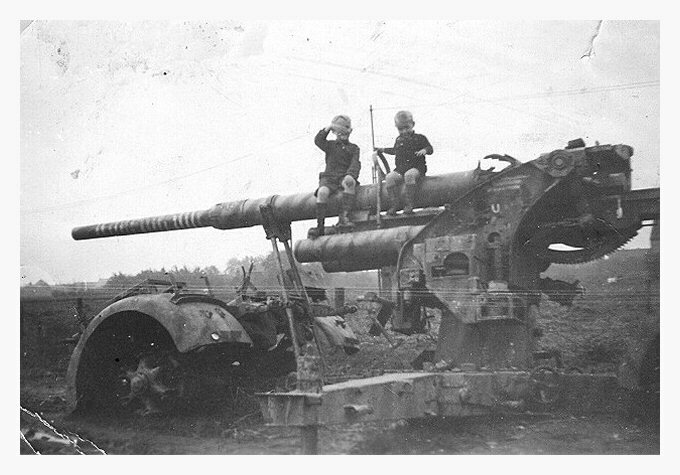 The Northernmost 88 mm gun. 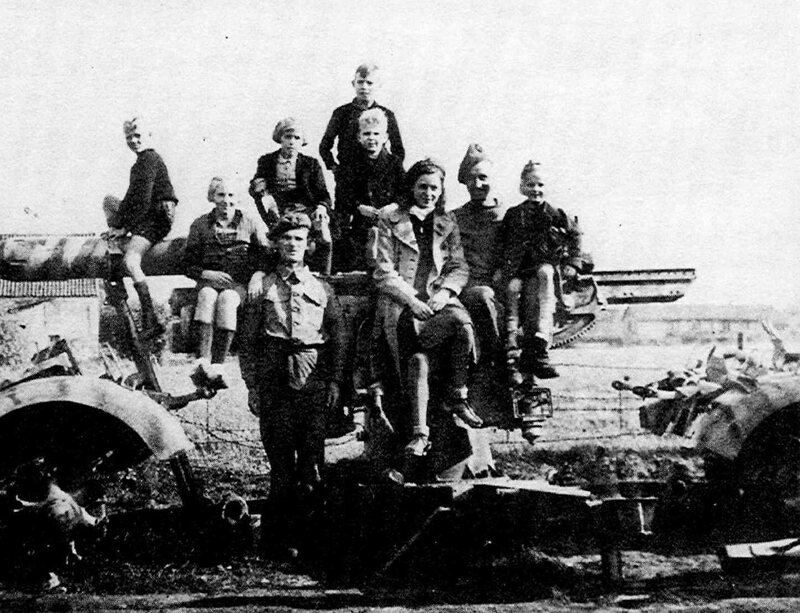 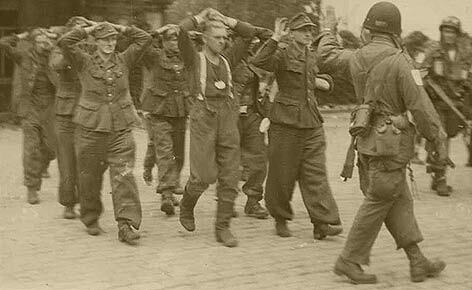 The German crew blew the breech when faced with paratroopers from both sides. 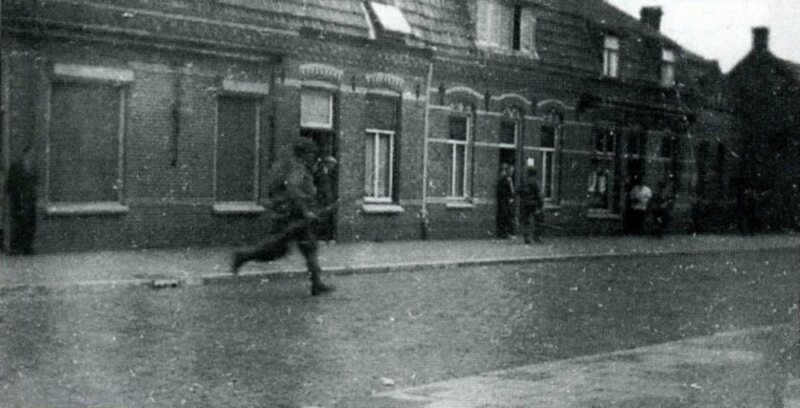 The "X" on the street in the "Now"-picture seems to mark the spot where the gun stood. 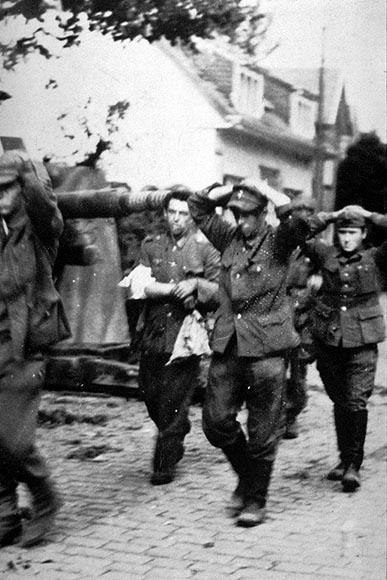 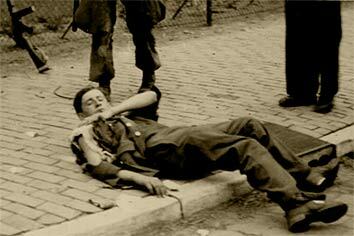 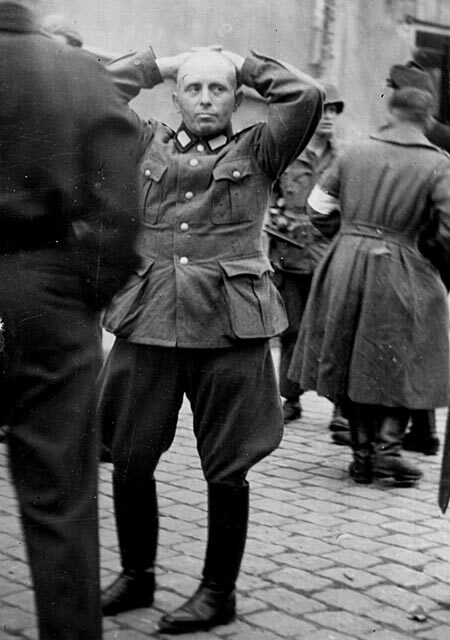 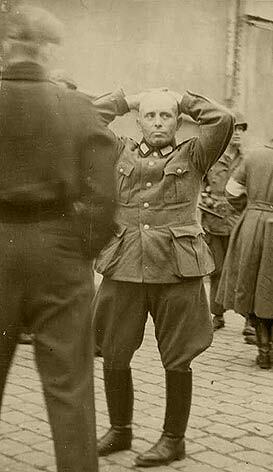 A wounded German Luftwaffe gun crew member lies wounded on the curb after the Battle of Kloosterdreef is over. 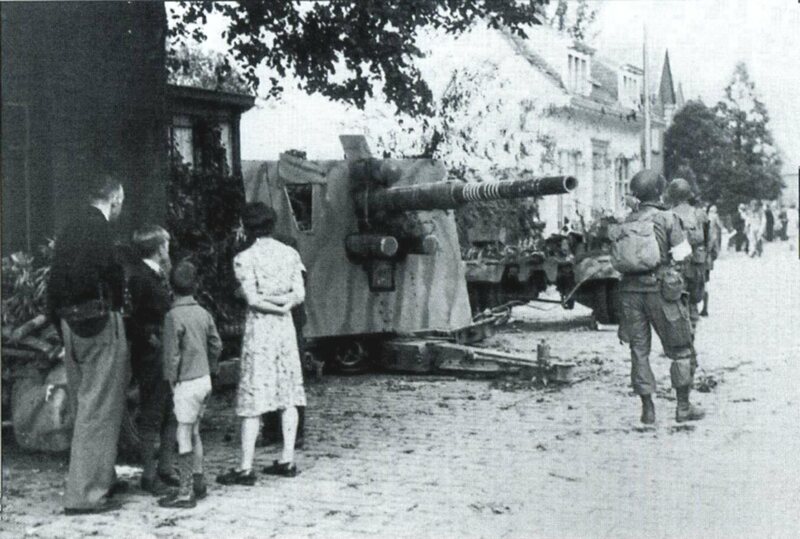 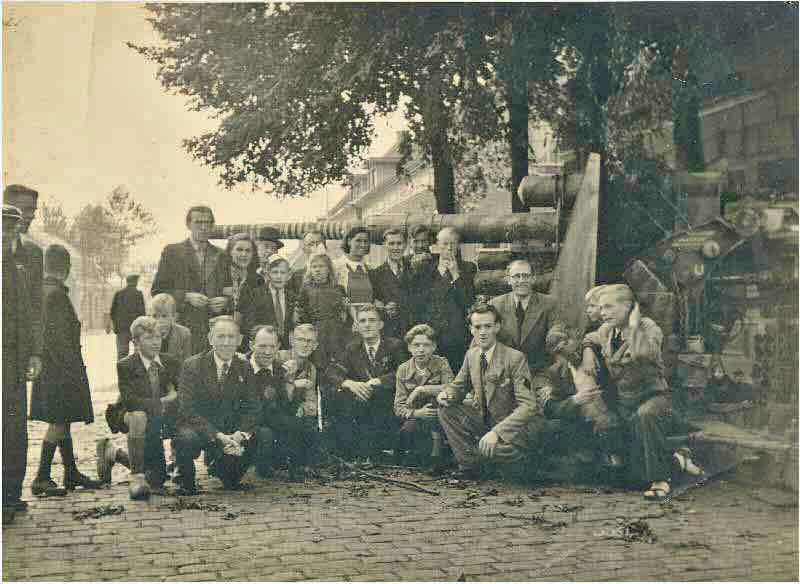 After "F"-Co./506th took out the two 88mm guns that slowed down the Regiment's advance into Eindhoven, citizens take a look at the gun on Kloosterdreef. 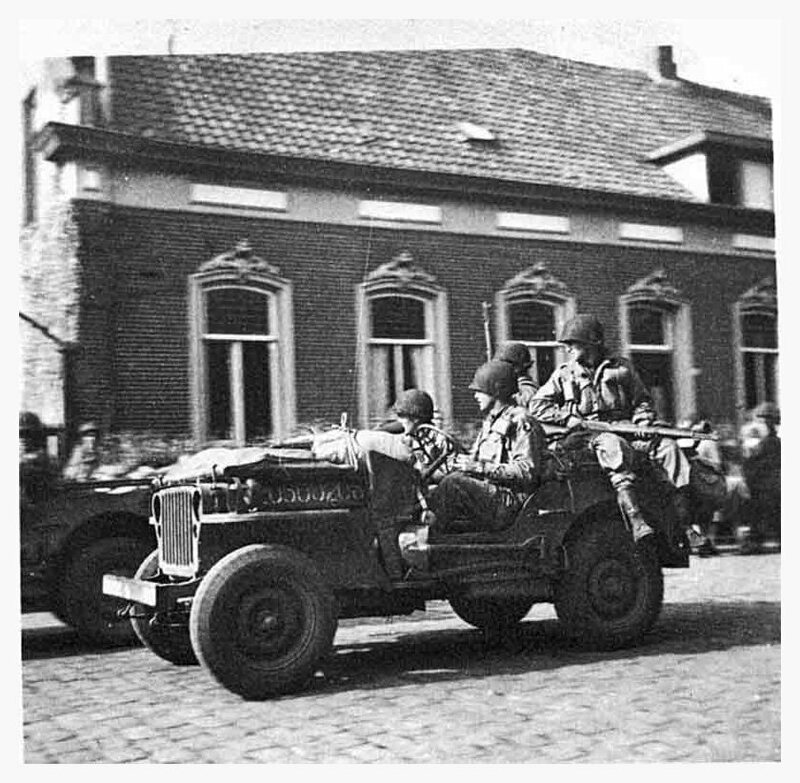 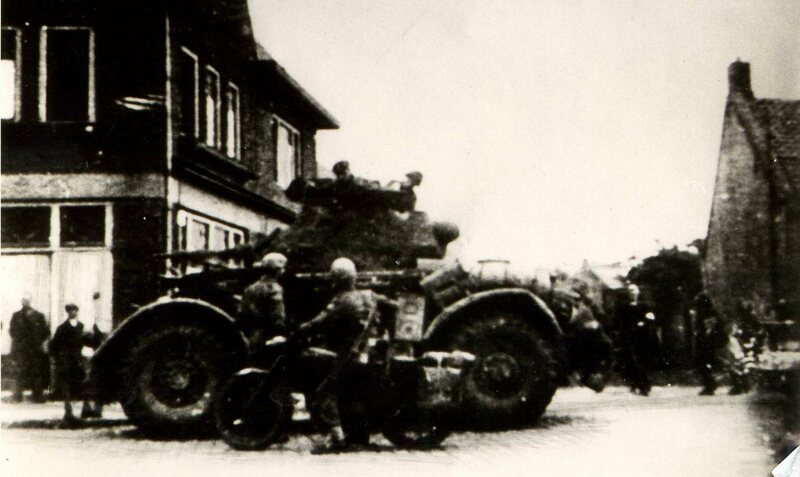 After the link-up between the U.S. paratroopers and the British Guards Armoured Division, a scout car stops on Woenselsestraat, just North of the captured 88mm guns. 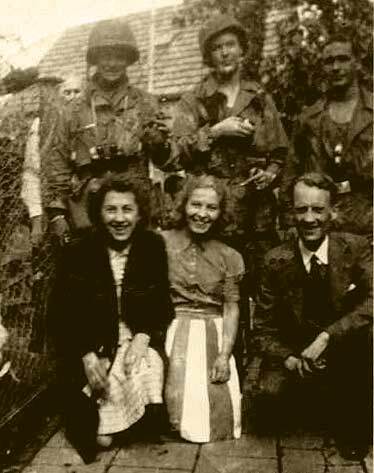 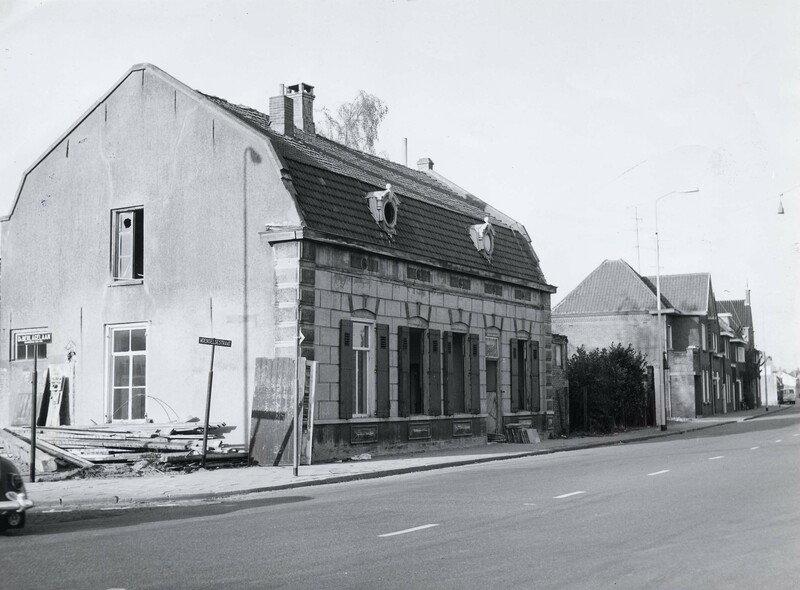 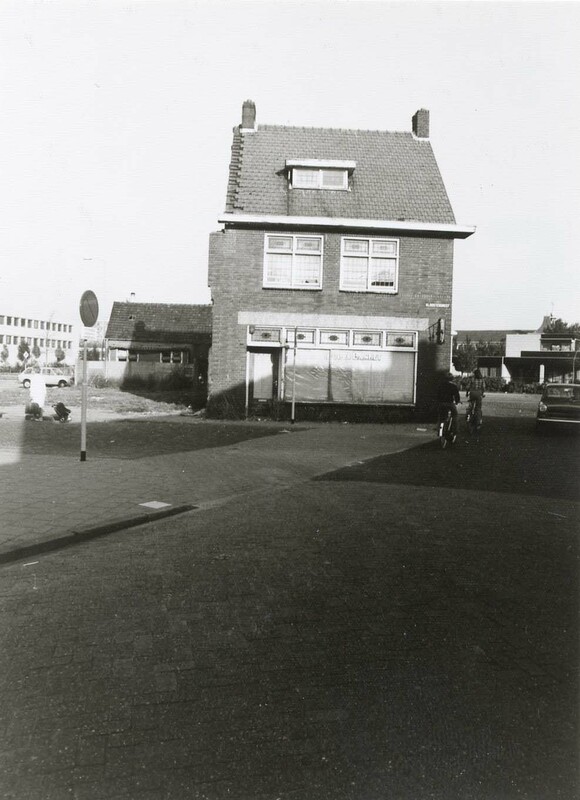 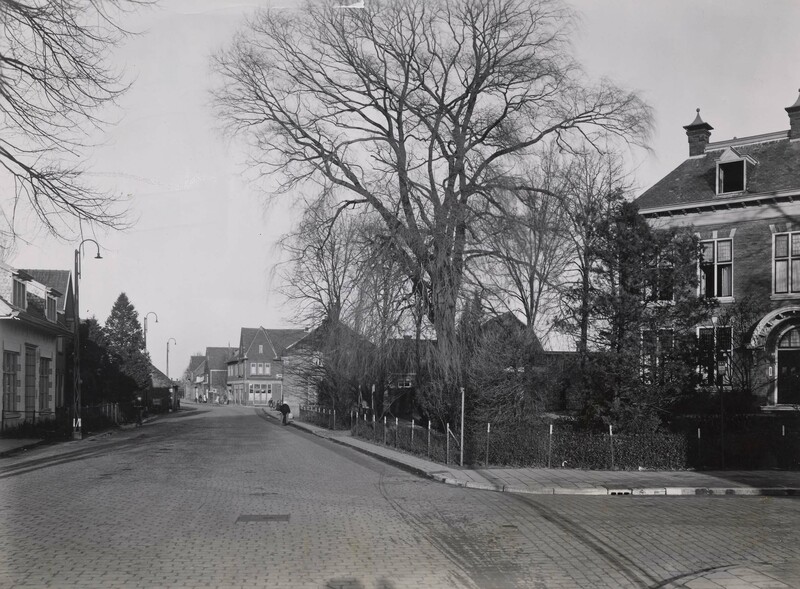 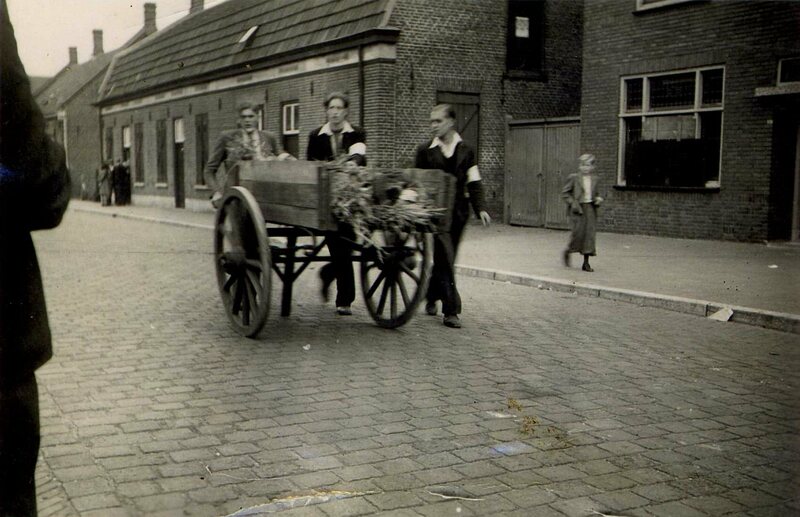 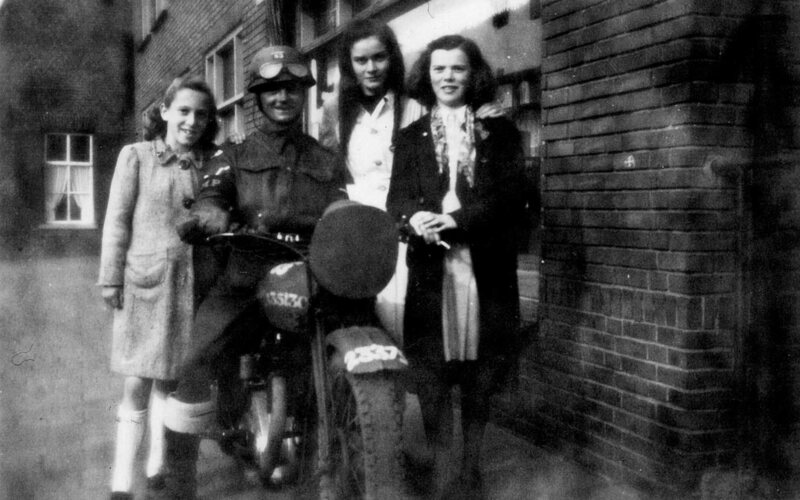 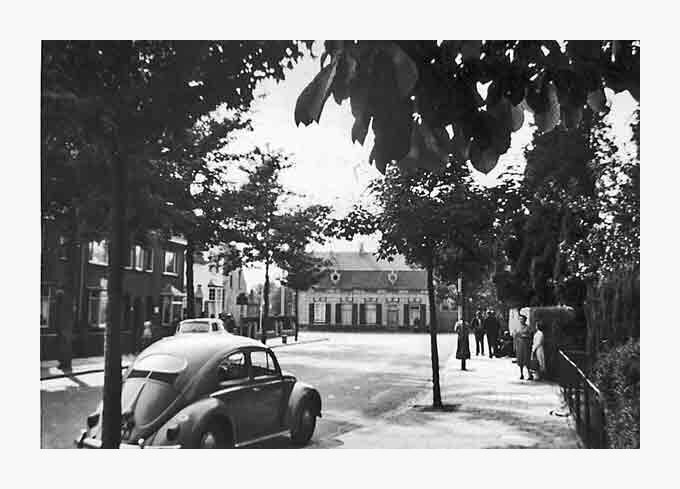 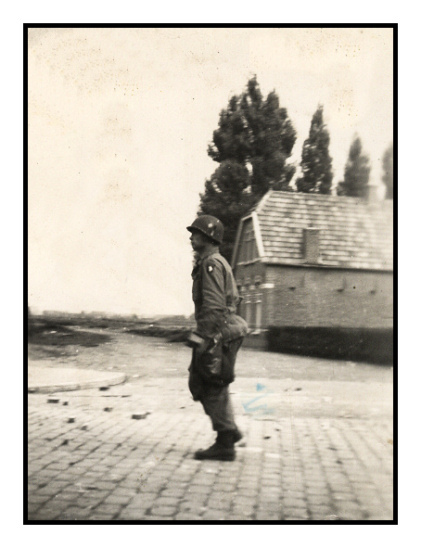 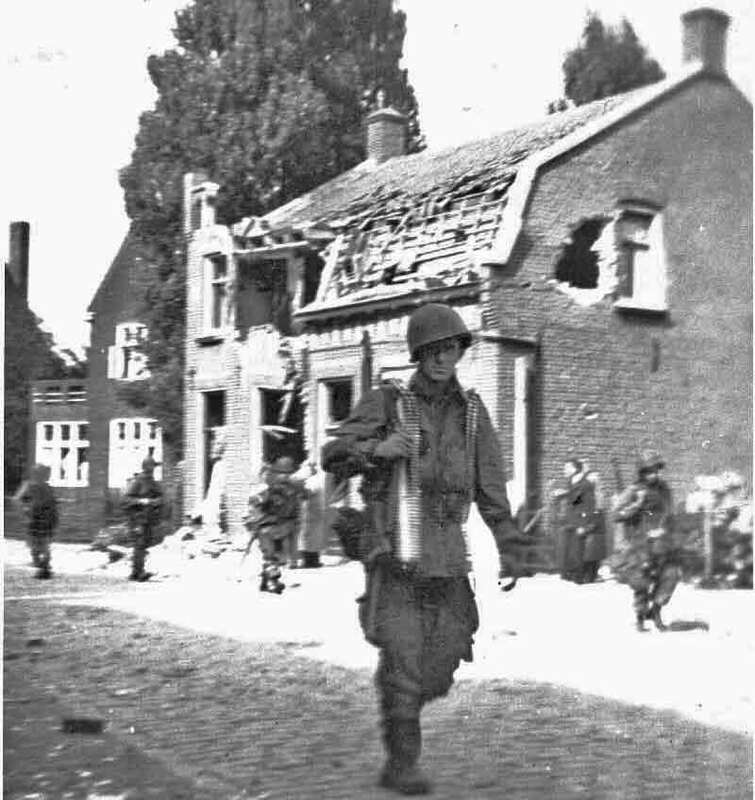 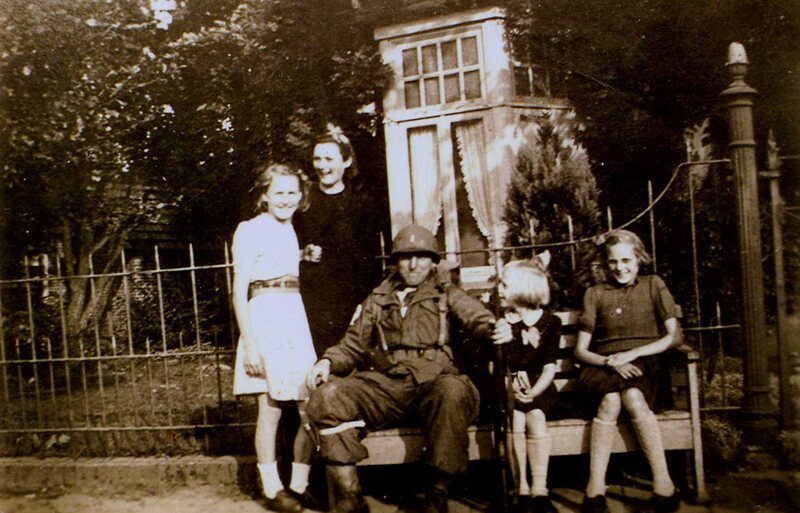 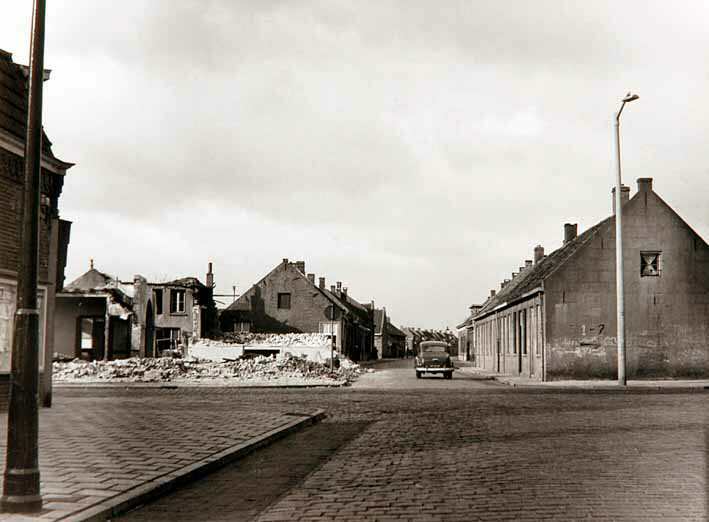 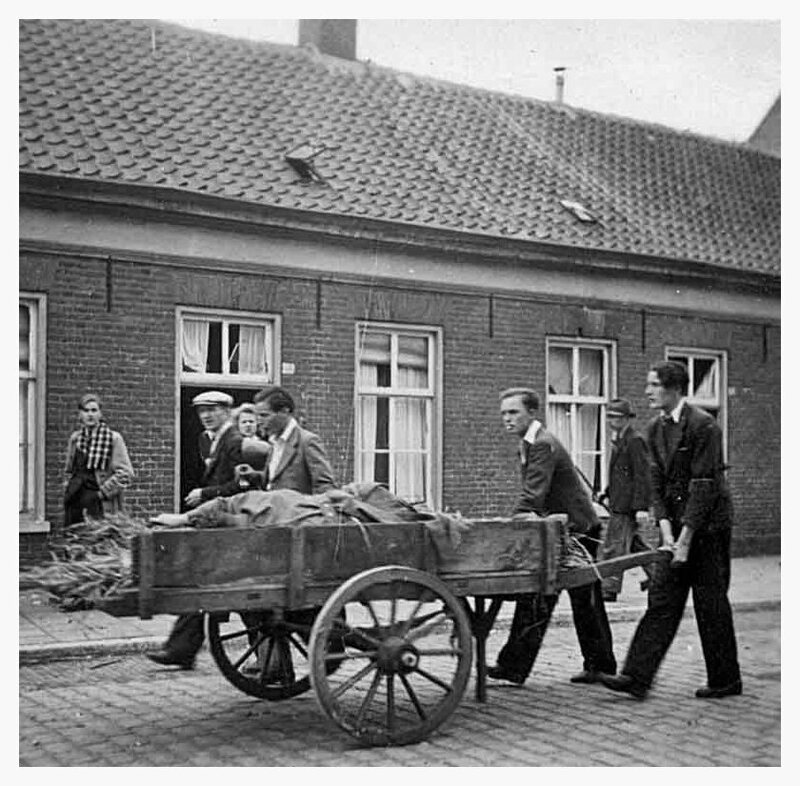 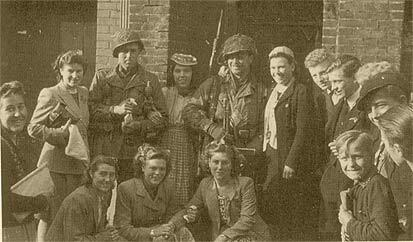 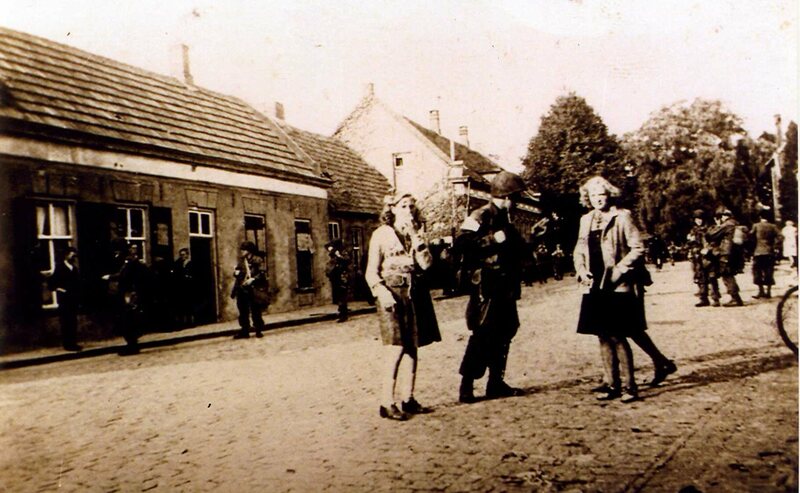 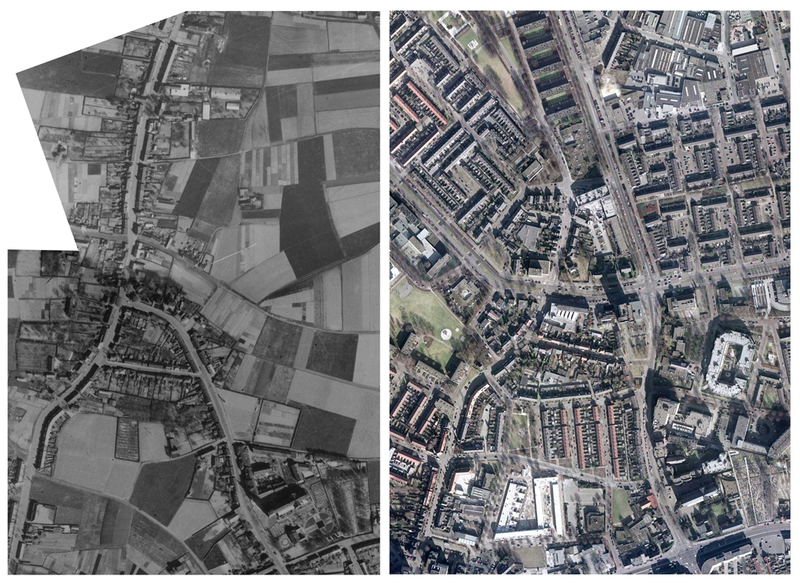 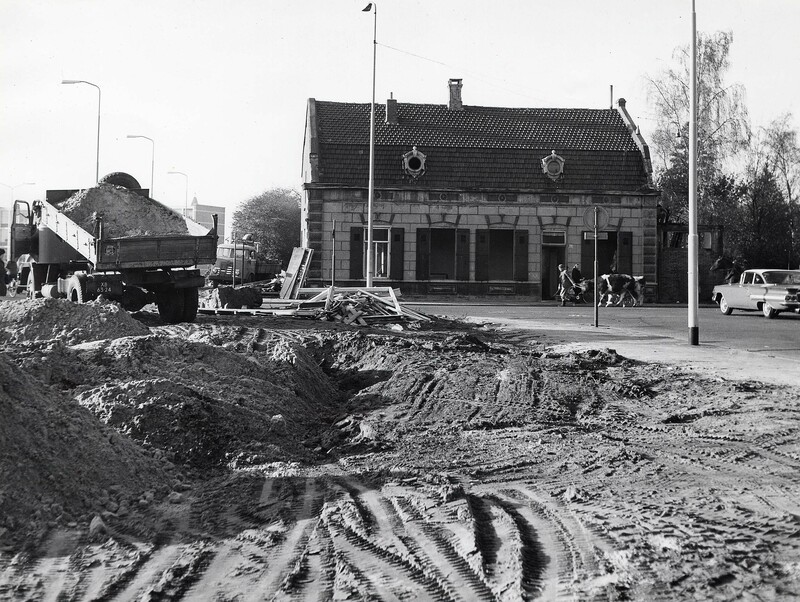 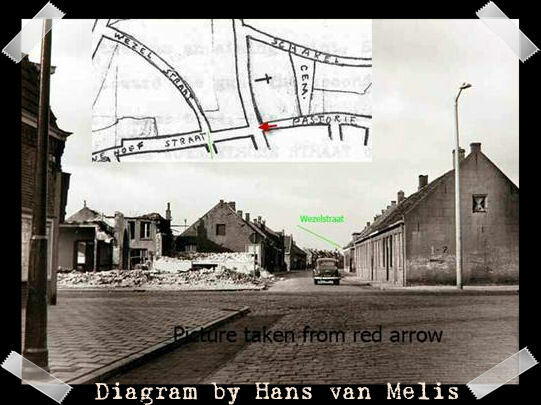 Woensel, the North-Eindhoven suburb, has changed drastically since 1944 but nevertheless, by analyzing After Action Reports, photographs and maps from archives and interviews with eyewitnesses, Battledetective was able to reconstruct the scene of the Battle of Kloosterdreef. 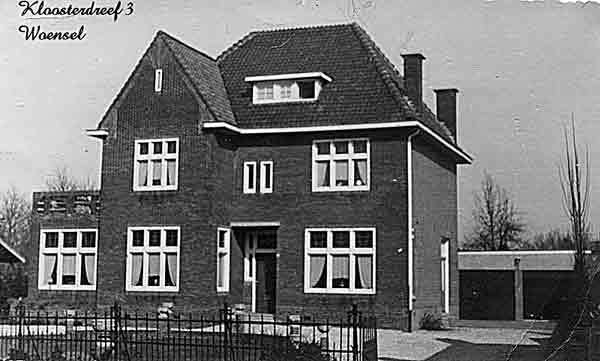 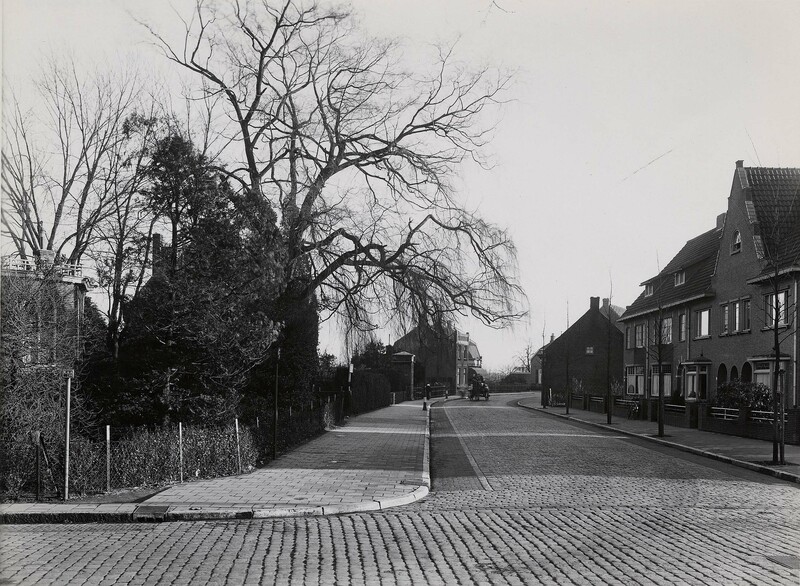 demolished after the war, to create the wide Europa Laan and Dr. Berlage Laan. 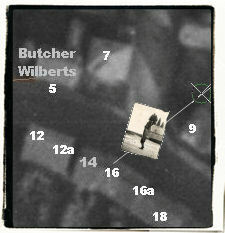 Roll mouse over the thumbnails for descriptions of the images. 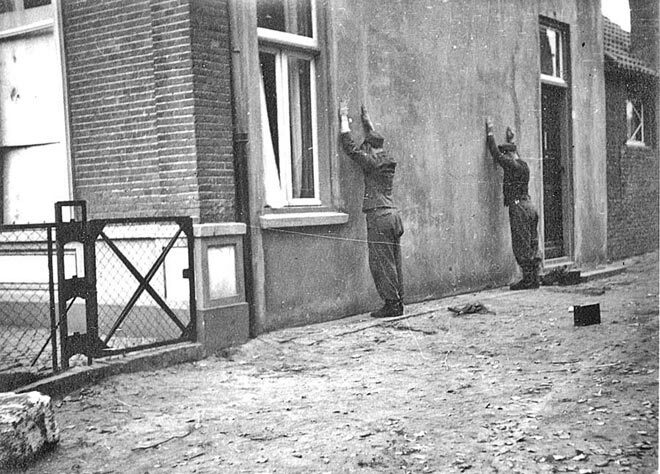 the 88 aiming at SGT Taylor's squad. 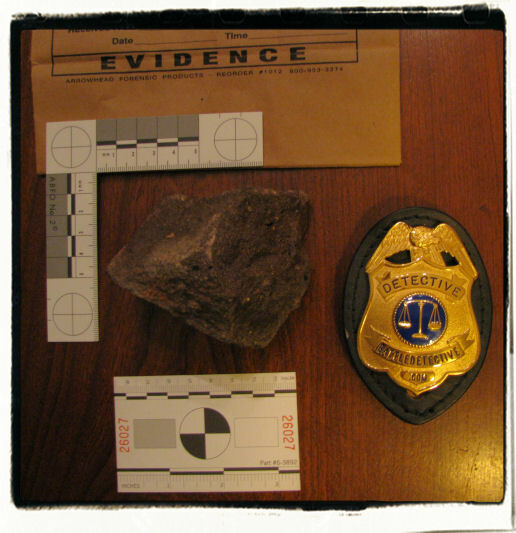 Below is the photograph. 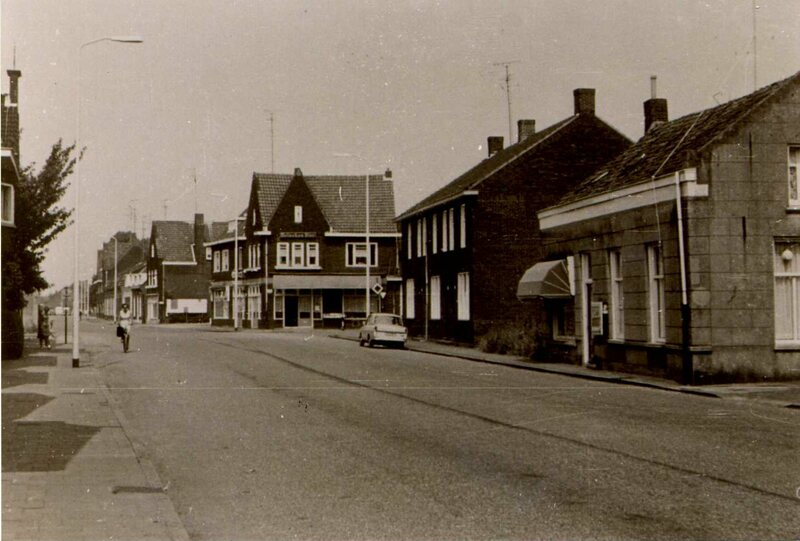 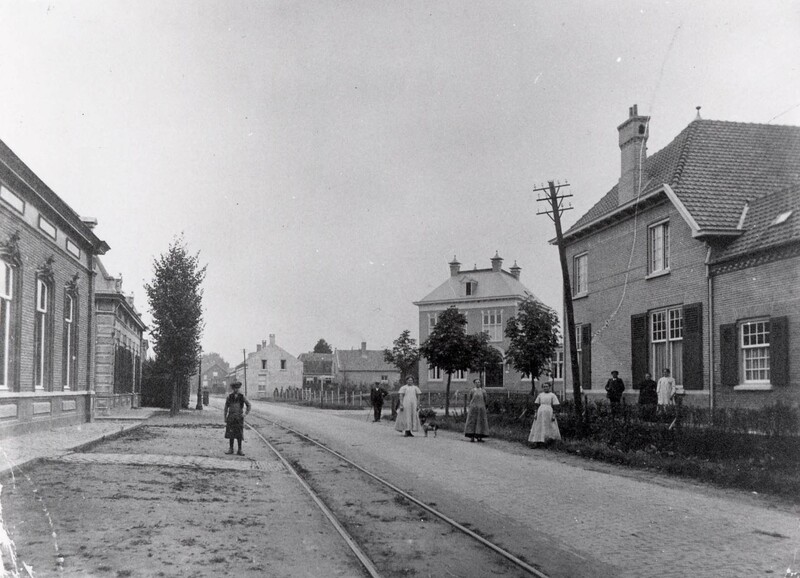 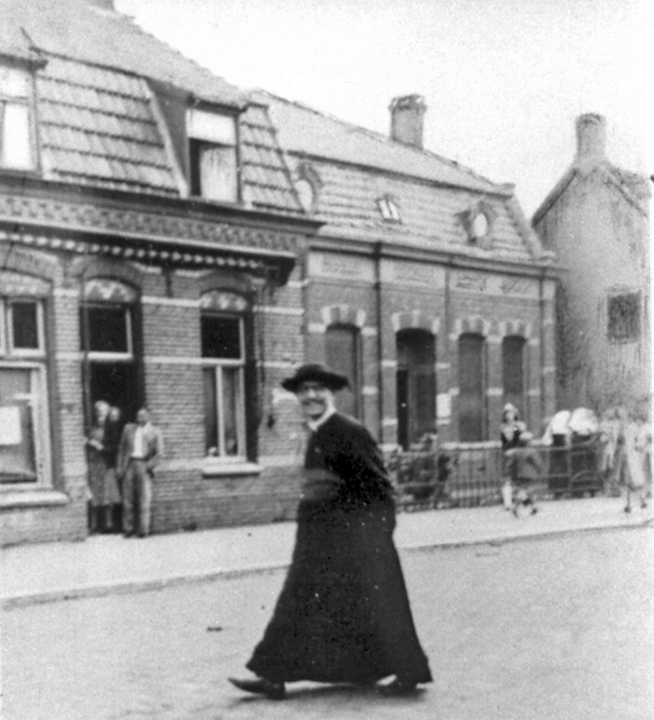 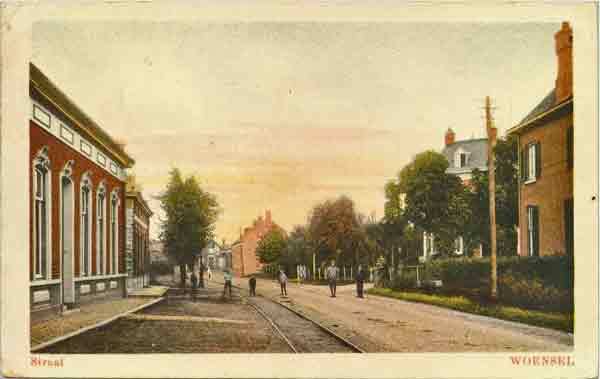 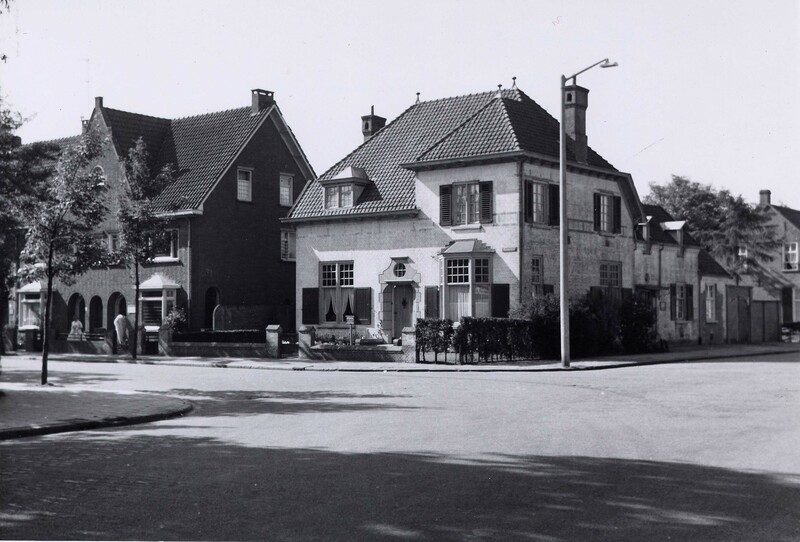 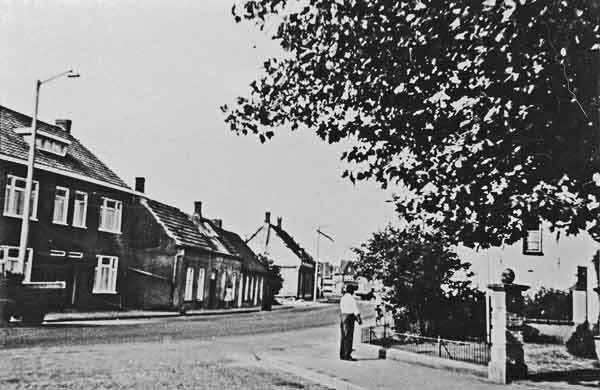 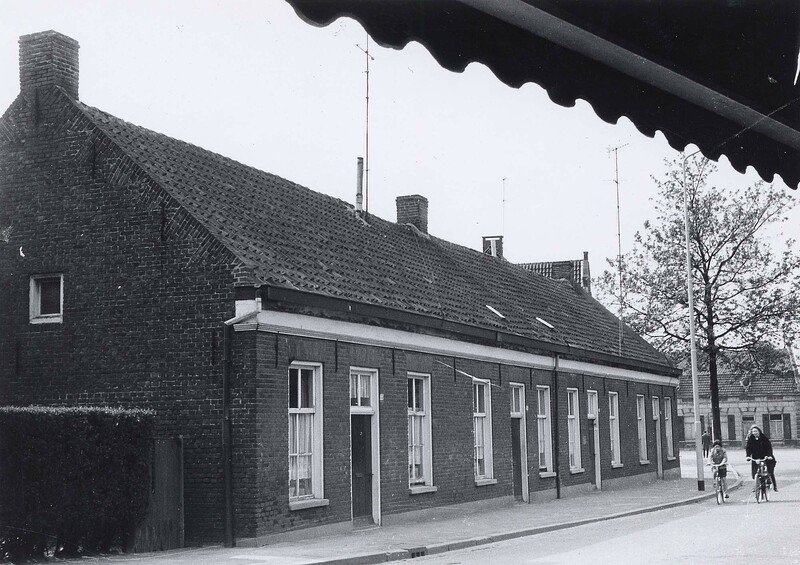 The house on the right is Klooster Dreef 2A. 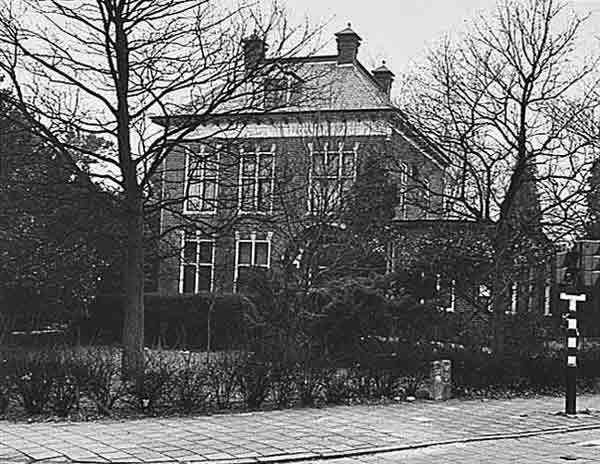 The Karel Family lived there. 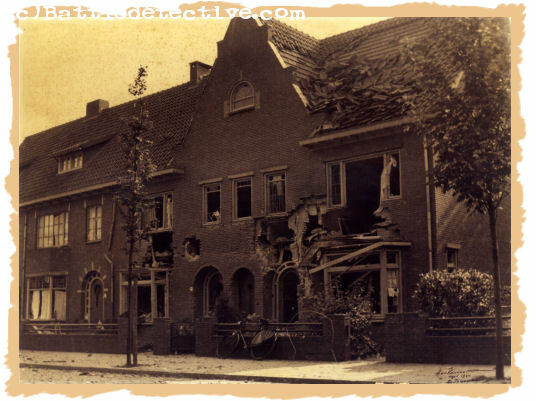 Fortunately, the Karels's were not in the house when it was damaged. 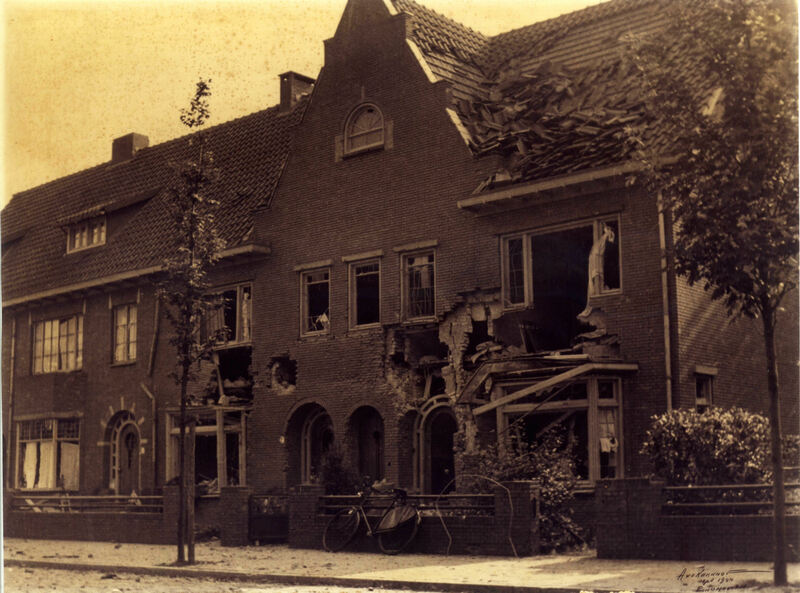 This image sheds new light on the intensity of the Battle of Klooster Dreef. 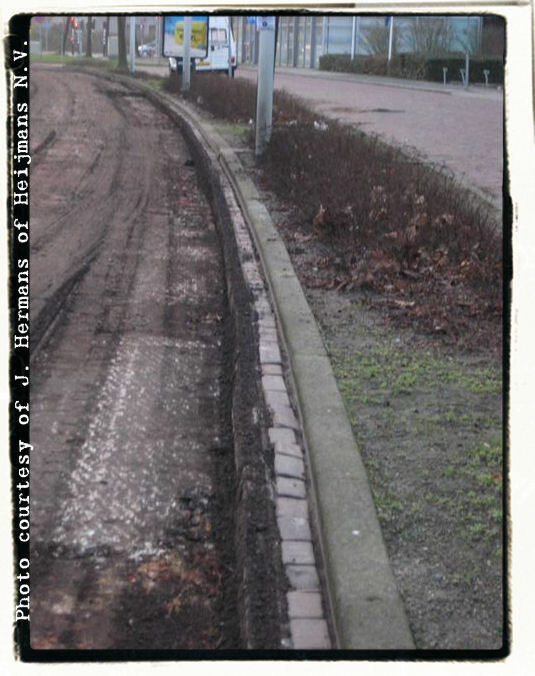 Original Klooster Dreef bricks surface from underneath asphalt street top! 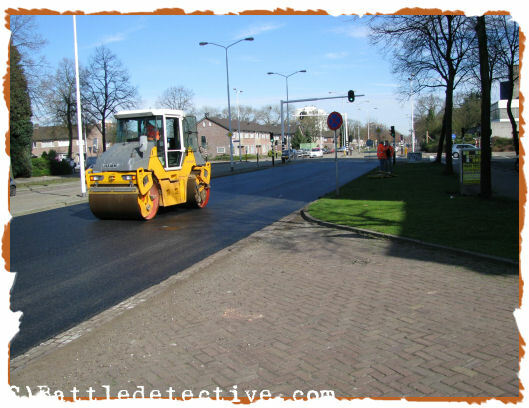 The City of Eindhoven has hired road construction contractors to add a new asphalt top on several of its streets. 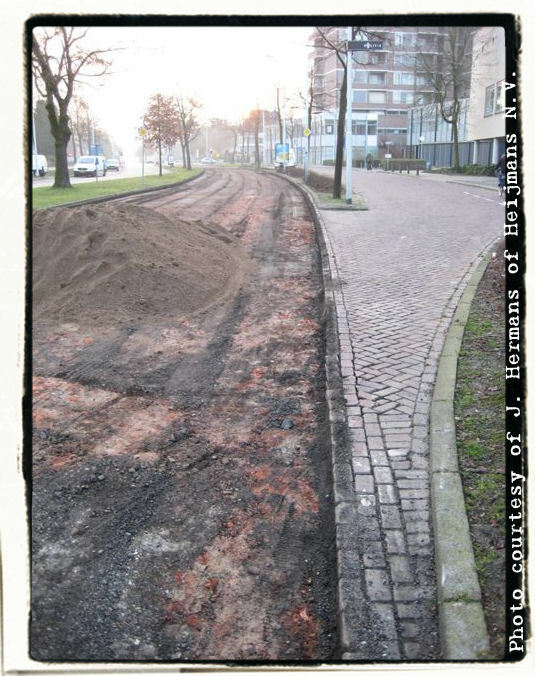 Also the tops of Klooster Dreef and its stretch which today is named Europa Laan, needed a new layer of black tarmac. 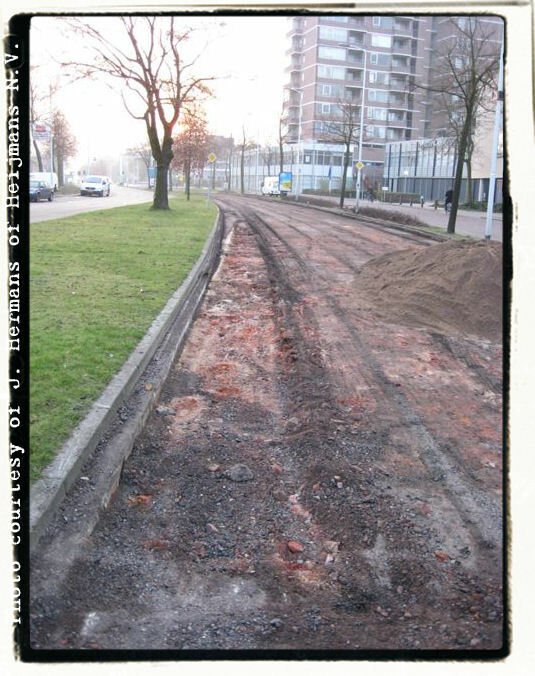 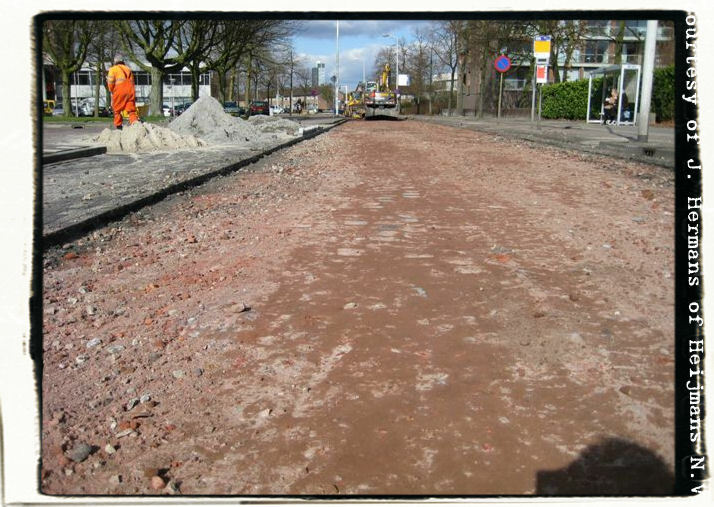 After the old cracked top was removed, the original brick road which once was Klooster Dreef saw daylight again. 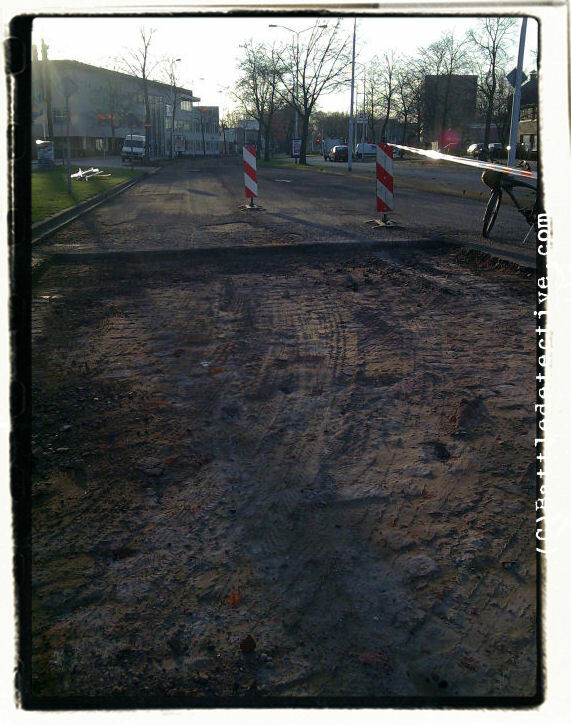 A piece of fine urban archeology from a team of orange clad construction workers. 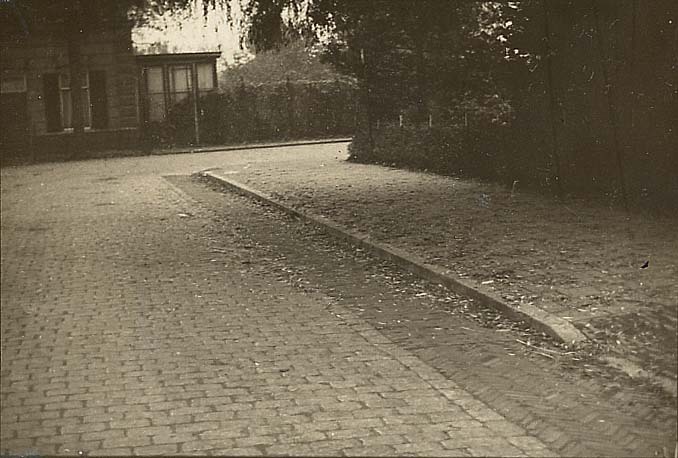 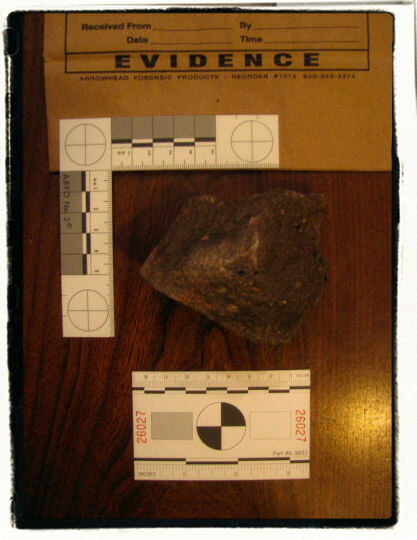 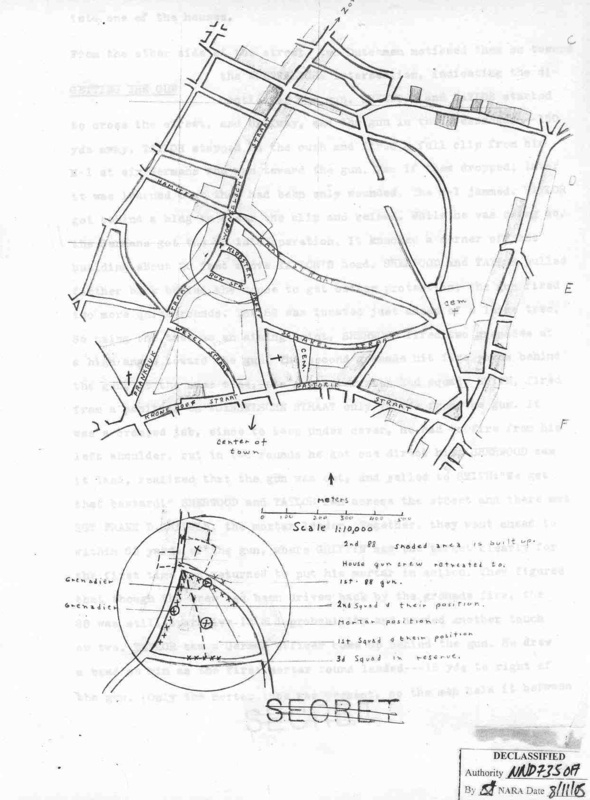 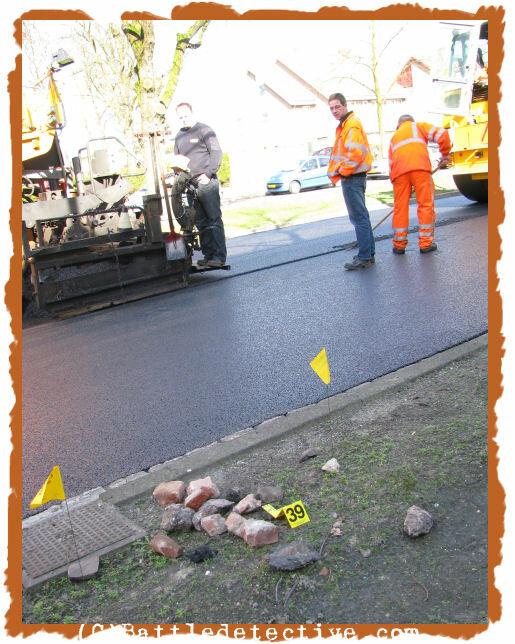 It shows the original brick road so characteristic for Klooster Dreef during the battle described in this Case File. 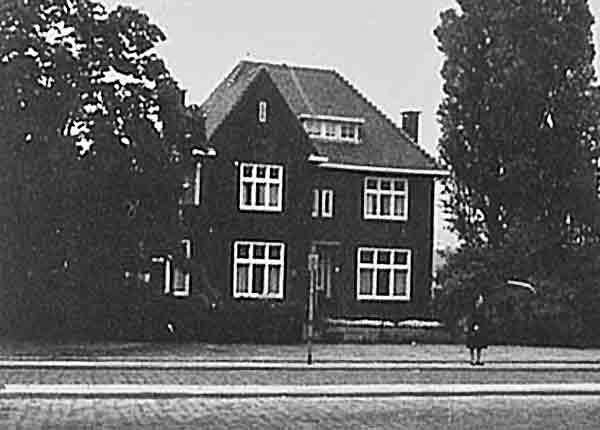 At the base of the tall building in the upper right corner of the photograph was the position of the Southern 88. 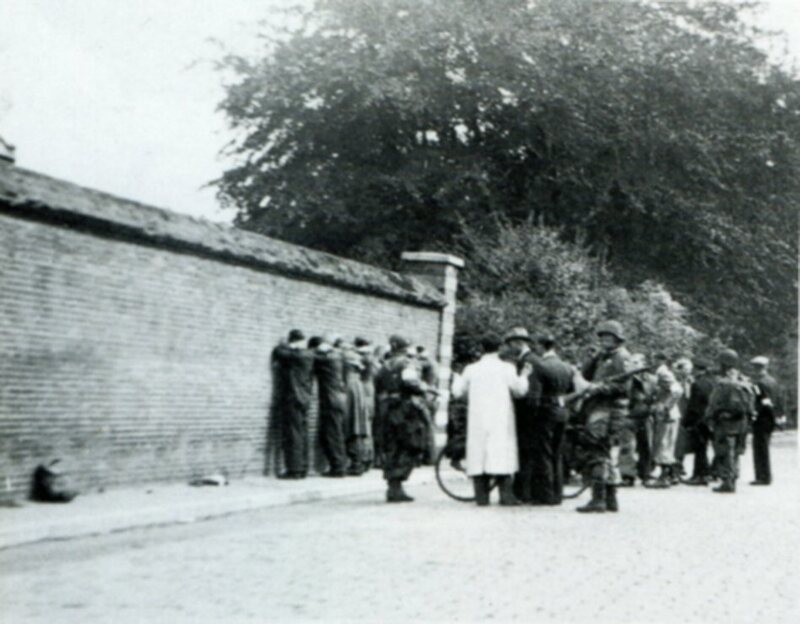 The butcher shop behind which SGT Taylor took cover was near the bicycle at right. 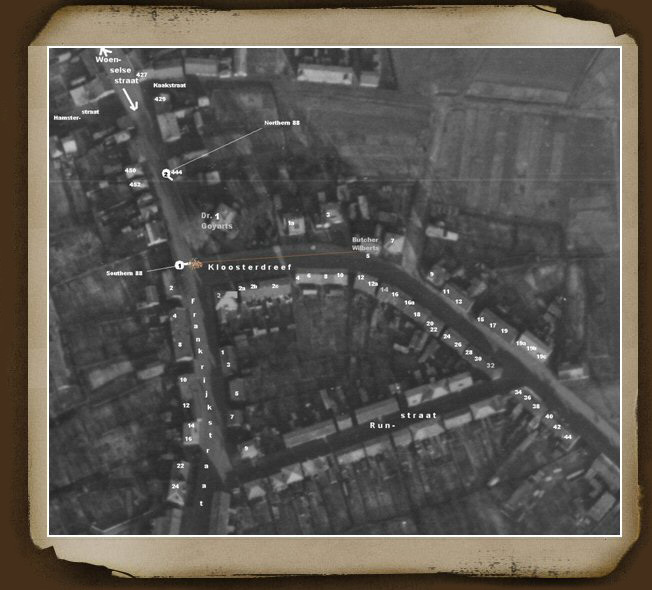 The damaged house in our August, 2008 Update is right behind the white van at top left. 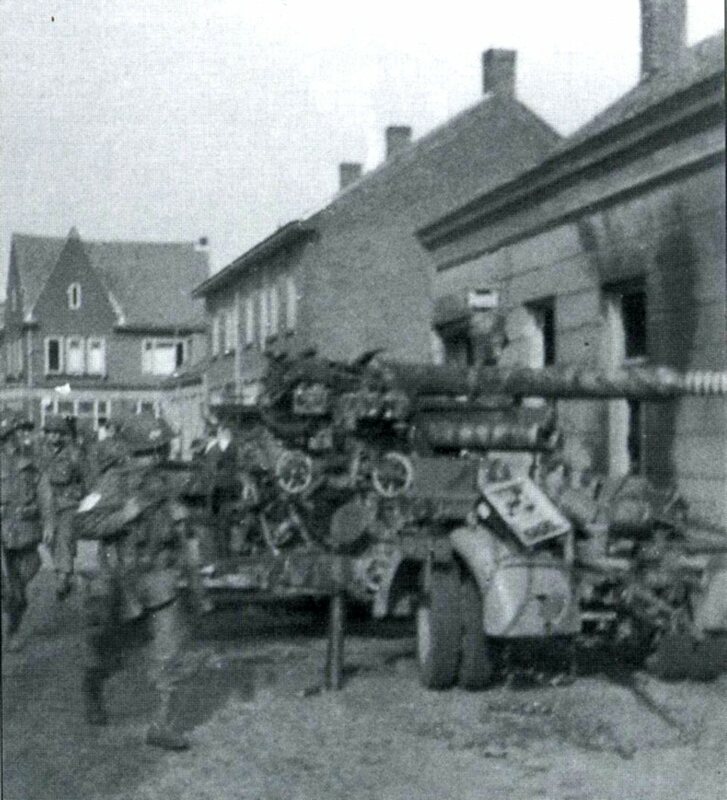 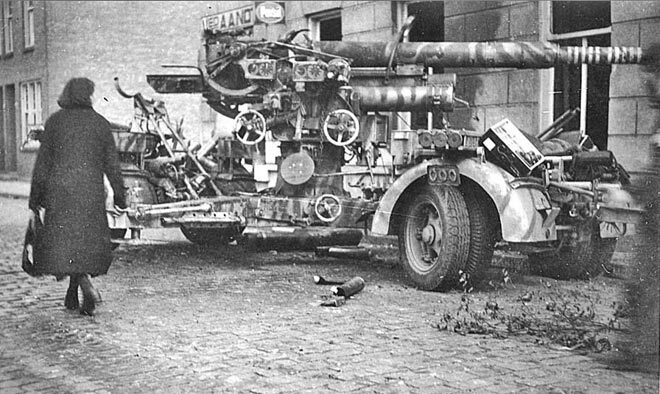 Nevertheless it is an almost exact replica of the 88 millimeter dual purpose (both anti-aircraft and anti-tank) canons that "F"-Co/506th put out of action as described in this Case File. 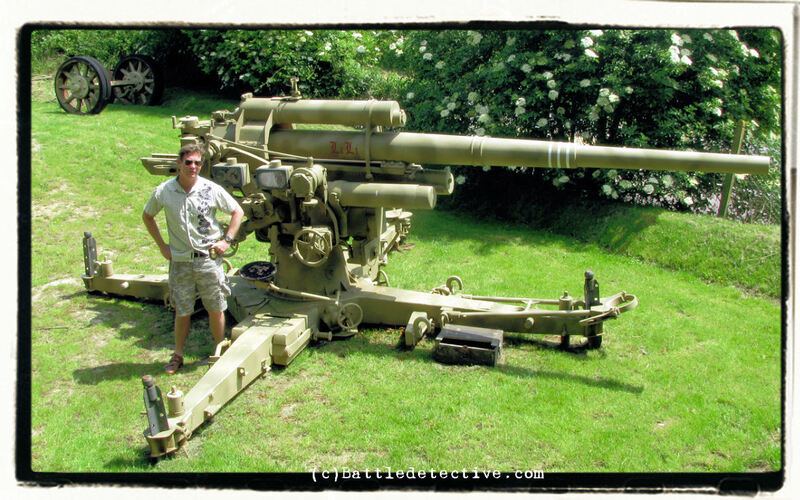 It gives a good impression of the size of the guns. 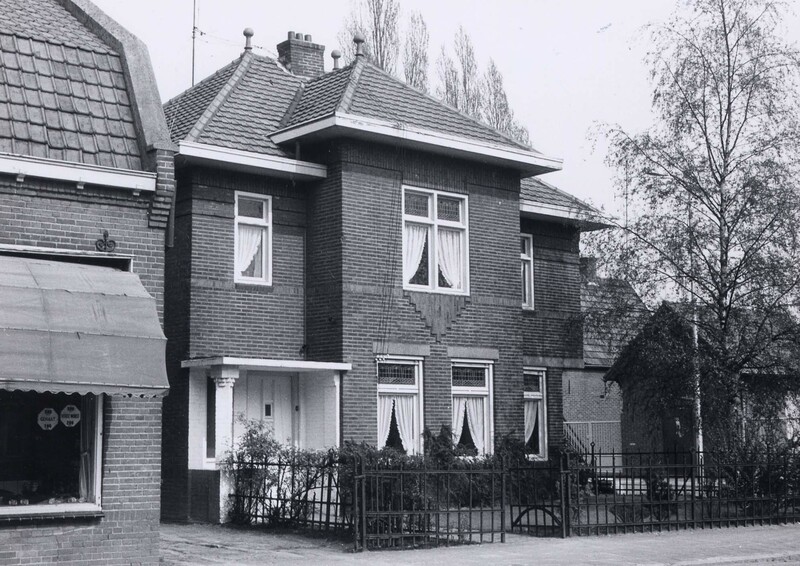 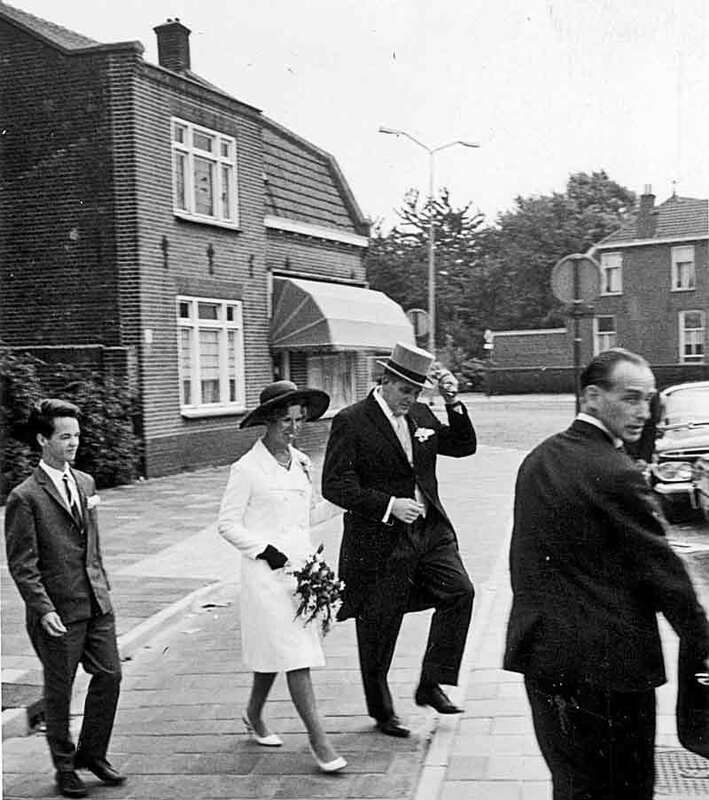 De Kuster [Family] lived on Kloosterdreef 16. 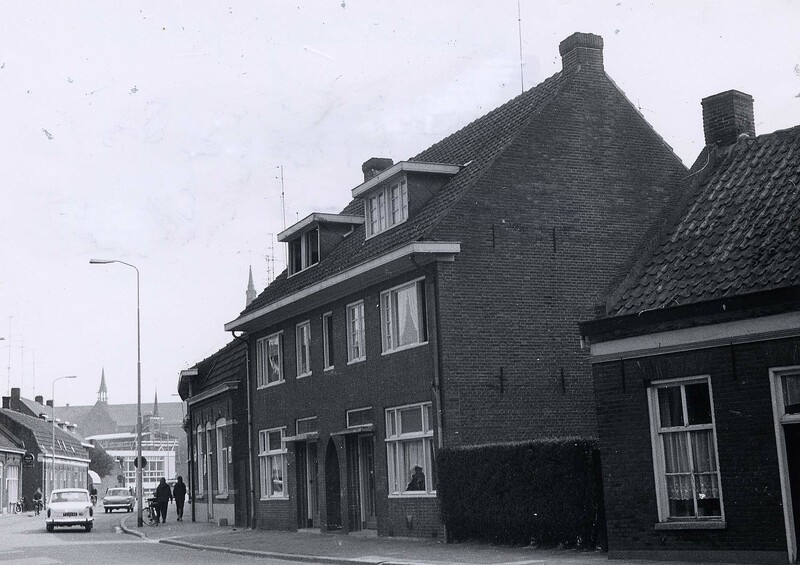 The house on the right is Kloosterdreef 9. 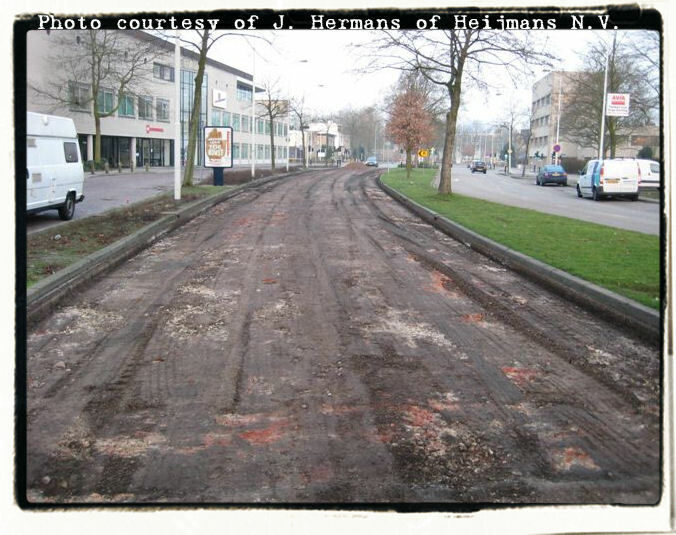 Some of the pictures on the site are from the 'ouwwoensel' website, taken by Eugene de Vries. 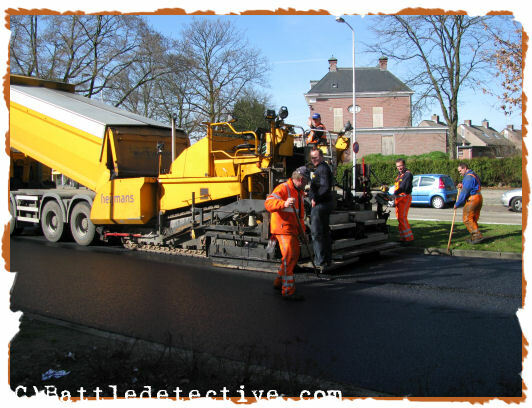 We thank Mr. van Melis for sharing this much appreciated knowledge.